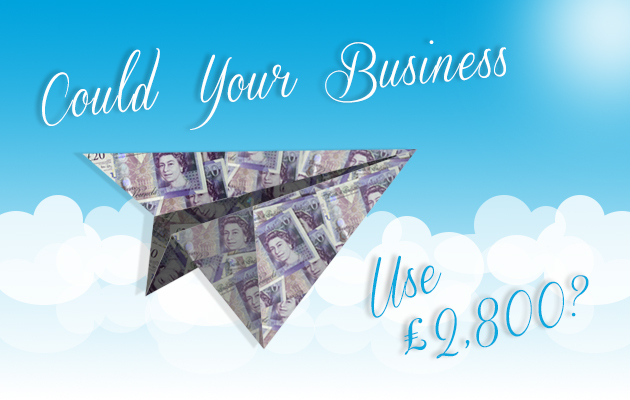 Could Your Business Use £2,800? Chances you’ve thought about moving your business on but maybe the daunting financial investment required is standing in your way. Well, if you fancy a new website or a redesign to bring things up to date then how does £2,800 of funding sound? Pretty good, right? The Northumberland Business Service Ltd (NBSL) is an Enterprise Agency based in the North East. They’ve been helping local businesses grow for 14 years now, working with both new and established ventures, and this boost could be just what you’ve been looking for. The NBSL will create a bespoke package to give you up to 35% funding of projects between £3,000 and £8,000 to improve your business. That’s a maximum grant of £2,800 to use on almost any aspect of your business development. Even if your project is over £8,000 you could still apply for partial funding. There’s no catch, just a small amount of paperwork to apply. We have been working with the NBSL as a registered supplier since its inception, helping companies access this funding and take their business further. If you’re based in Northumberland, Tyne & Wear or County Durham then this could be the support you need to take the next step. If you have big plans and would like our help with the application process for funding and then putting that money to good use, or would just like to know more, drop us a line.